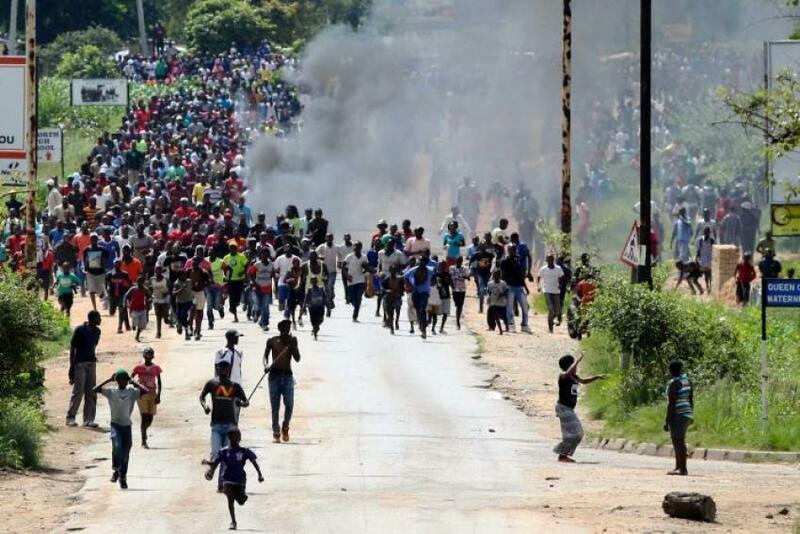 What started as a government-initiated fuel price increase in Zimbabwe has now metamorphosed into full-blown street protests, violence and arrests of more than 600 people, even as the country’s economic cities of Harare and Bulawayo grind to a halt. President Emmerson Mnangagwa, who took office following a military takeover that ousted long-serving ruler Robert Mugabe, says the latest move is one of his many ways of fixing an economy that has been in the doldrums, with the Southern African country remaining one of the most unstable economies the world over. The nation’s citizens are expressing anger and frustration at a man they had placed their hope and future in. While assuming office Mnangagwa promised to grow the economic prospects of Zimbabwe while opening up the country’s democratic space. But the high handedness by the military in dealing with protestors, the arrest of activists, the social media ban and internet shutdown have all the hallmarks of the former regime’s approach to dissidents. These protests will be the litmus test for President Mnangagwa, who is barely one year into office. While he needs to tackle the runaway inflation, address the currency crisis and grow the economy through tough austerity measures, he is faced with the unenviable task of calming palpable emotions from a citizenry that feels cheated and abandoned. It is a tough balancing act. Yet in all the melee, President Mnangagwa must be guided by the sacrosanct right for citizens to picket and hold the government to account without intimidation. It is possible to put the economic interests of the country first while upholding the rule of law.